Note that the NDAA (national DA association) president is none other than San Bernardino’s pro death penalty DA Michael Ramos (@michaelramos). I’m not surprised at this inarticulate, unreferenced and roiling objection to the White House forensic science “predecisional” report just informally released to the Internet. 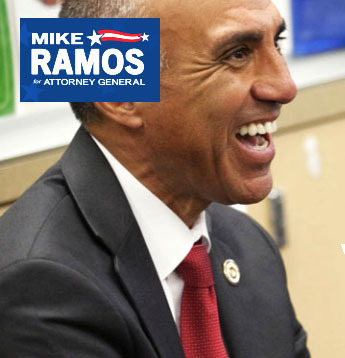 Ramos is also running for California Attorney General for 2018. He’s getting a head start for sure. “It is unfortunate that members of PCAST, none of whom are forensic practitioners who have been trained or tested for competence in the forensic disciplines, ignored vast bodies of research, validation studies, and scientific literature authored by true subject matter experts,” said NDAA President Mike Ramos. Boilerplate #2 This wouldn’t pass a junior high school English Comp mid-term for exposition. No substance to his conclusions. D-. Boilerplate #3 (this is simple-minded). The NDAA is lecturing on judge “gatekeepers” being the final arbiter about “what is science.” Typical legalese rebut by a bunch of lawyers. Certainly shows how the history of forensic science is (by some) excused from normal scientific methods expected by other public health and public safety institutions (FDA, DEA (sometimes), NIH, etc). This entry was posted in AAFS, criminal justice, criminal justice reform, CSI and tagged Bad forensic science, forensic science reform, junk forensic science. Bookmark the permalink. It seems to me that the NDAA is in huge need of a PR person!